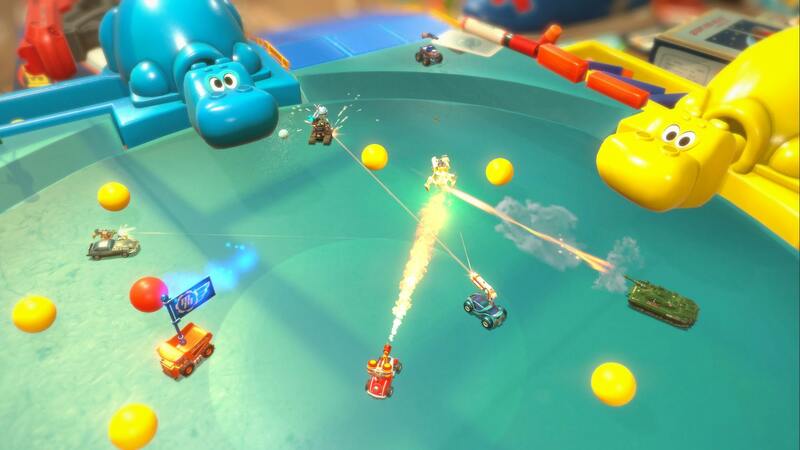 Micro Machines is back! And this time, it’s bringing all your favorite Hasbro toys back with it. The PS4, Xbox One, and PC title is cruising to its April 21st start line with an all new gameplay trailer and information on the series’ first Battle Arena mode. The Battle Arenas will pit up to 12 players against each other online in a frenzy of multiplayer mode madness. From Capture The Flag and Territory to a full 6×6 Team Deathmatch, the Battle Arenas have opened up a whole world of new environments to explore. While you may be content whizzing around the traditional kitchen counter or garage floor tracks, it’s impossible to not be excited by the reintroduction of Hungry Hungry Hippos into our lives. In this mode, players hurtle around the board trying not to be consumed by the ever present plastic jaws that jut from every angle. In fact it’s CodeMaster’s alliance with Hasbro that has made this upcoming release so anticipated. The introduction of GI Joe and Nerf products breathes an intriguing and nostalgic new life into the classic table top racer franchise. Of course, you will still have access to the insane weapons and powerups that made these original titles so frantically popular back in the day, but there’s a whole new arsenal of tools to help you wreak havoc on your playmates as well. The NERF Blasters have been dug out of the toybox, alongside a Dynamite Launcher and the alluring entitled Cobra Turret. Classic Race and Elimination modes remain constant, however now sport 12 new featured vehicles including the Spy Car, Hovercraft and Monster Truck. Each vehicle is highly customizable with its own features and skins. To top it all off, the action is narrated by none other than Brian Blessed who will be barking commentaries throughout your matches. 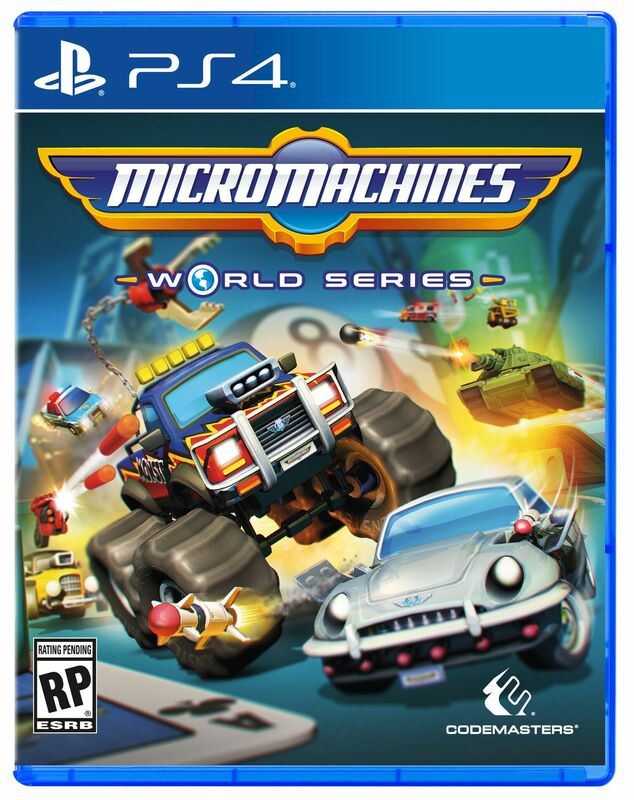 Micro Machines World Series launches April 21st for consoles, and June 23rd for PC via Steam.